As part of its commitment to ongoing improvement, NORTEK has sought to ensure the certification of its management system, a top certification for its welding processes, and the training of its design and production technicians in accordance with the different international regulations and standards. 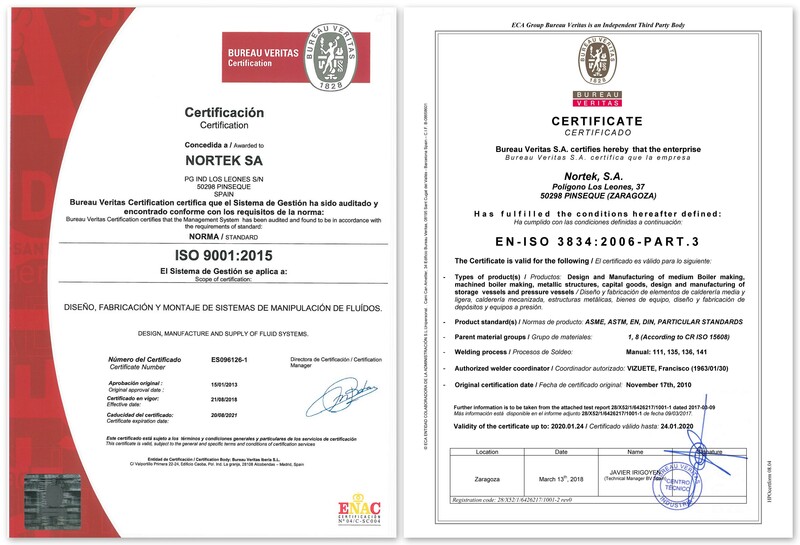 NORTEK can accredit the certification of (i) its management system according to ISO 9001 and (ii) its welding processes according to ISO 3834-3. Our company’s commits to fully guaranteed welding, so as to give confidence to our most demanding clients. We thus have a strong team of approved welders, and continually invest both in equipment and supervisors’ training. The long history of our Engineering Department, as well as the wide range of projects carried out by NORTEK and executed at our own production plant, have also been positive in achieving greater skill in design and production in accordance with various international standards. Therefore, we are able to adapt to regulatory requirements with the flexibility and know-how that our customers require. ISO 9001:2015 Certification of our quality management system. EN-ISO 3834-3:2006 Certification of our processes of fusion welding of metallic materials. Certification of welders according to Euronorm and ASME IX. A great deal of experience in the production of pressure vessels approved in accordance with European directives (UNE-EN 13445) or ASME VIII. Extensive experience in the production of valves according to UNE-EN 12516. 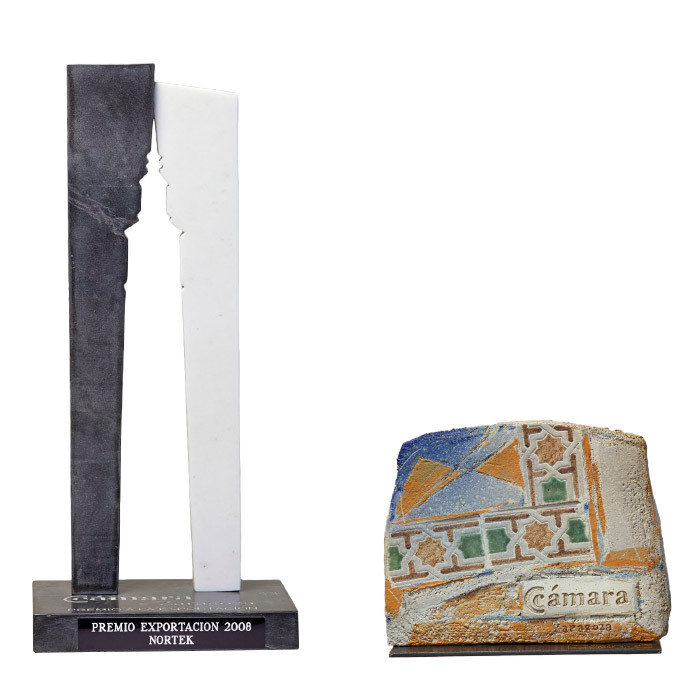 NORTEK’s track record as an exporter, with rates higher than 80% in most recent years, was recognized with the Saragossa Chamber of Commerce Export Award, given in 2008 after the runner-up award obtained in 2004. This award acknowledges NORTEK’s great effort over the past decades to be present with its products on every continent, developing its sales network and adapting to each market’s unique characteristics.